What was your most memorable race/meet? My most memorable meet would have to be the Class C State Cross-Country meet my senior year. My mom had organized a surprise for our cross-country teams... goodie bags that had been signed by the teachers and staff at GSA! There were good luck messages, silly doodles, and well wishes written across the paper bags, it was such a positive way to start the morning. Later as we walked the Twin Brook course, we blasted some pop hits from 2010 thereabouts and belted out some Katy Perry and Taylor Swift to get pumped up! Some people were speculating as to if we would win the meet, and while we did not, that State Meet was the happiest and most satisfying one I've participated in. Who would you consider your biggest competition over your four years? Over my four years, Orono High School always gave us a run for our money. 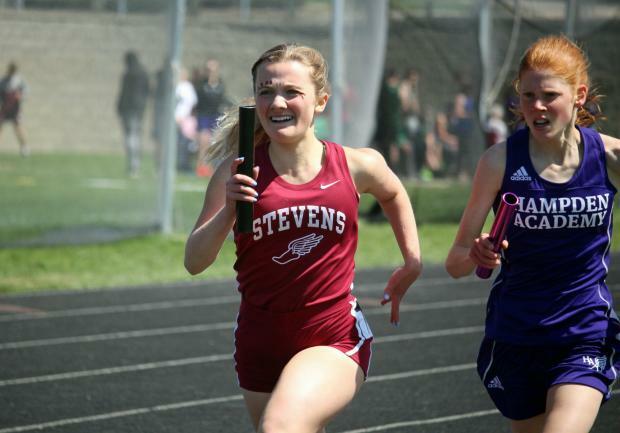 I have fond memories of Hannah Steelman, Kassidy Dill, and Becky Lopez-Anido paving the way for Class C athletes and posting untouchable times. They have been followed by equally talented and passionate young women such as Camille Kohtala, Lucia Smitherman, the Gaetjan girls, and so many others. They are a hard-working team that always shows up with their A-game, I sense many more wins for them in the future. While they are competitors, I always looked forward to competing with them and seeing their friendly faces, they're fantastic! What was your greatest accomplishment? My greatest accomplishment has been to focus on and learn about myself. Over my four years at GSA I've struggled, as many do, with body image issues. I'm a short and stocky gal and I was really putting myself down when I'd admire my slimmer, taller competitors. I've learned that your body type does not define your performance level. I've learned that high-mileage training isn't the answer for everyone. And I've learned that proper nutrition to keep up with all of my training is essential to staying healthy and injury-free. 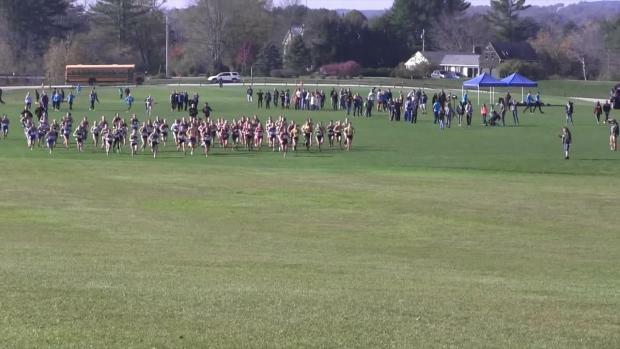 If you could do it all over again what would you change about your xc/track&field career in high school? Would I change anything? Heck no! I think that seniors give this answer every year, but I genuinely mean it. My successes, my losses, my injuries, and my experiences have changed me for the better. You can't have a rainbow without a little rain! What were the most difficult obstacles you had to overcome? Injuries are the bane of runners' existences. There is no worse feeling than watching your team warm up while you hold down the fort at your team tent area and organize their race bibs. This past cross-country season I definitely was this poor chum a number of times. In the fall I had a whole slew of health issues; shin splints, a freak foot injury from dancing, and a really funky virus that stuck with me for about two weeks that sucked some life out of me. Those first few runs once you're recovered are always tough, when you experience all of the discomforts of running again and when you ask yourself "How did I ever run so fast?" But the revamped appreciation for running always speeds up the healing process! What will you miss the most? I will miss the Maine running community the most, hands down. 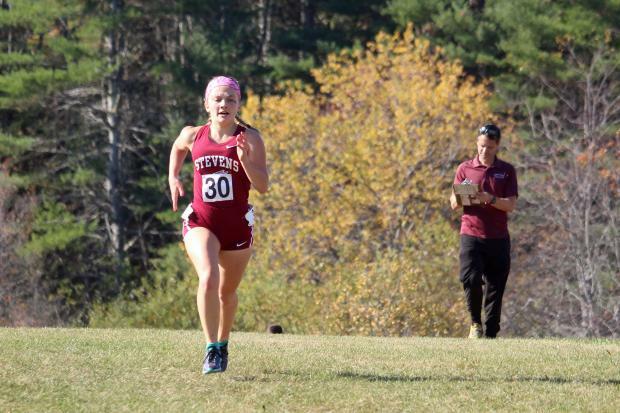 The friends you make during summer camp who you reconnect with at Festival of Champions, the shared pride we all have when a Maine athlete performs above and beyond at New Englands, the list goes on. Y'all are amazing! What advice you would give to younger athletes? There is no one more admirable than the athlete who shows up to practice with enthusiasm, optimism, and gives 100% everyday. You don't have to be the fastest, strongest, or most talented to contribute to your team. Attitude is everything! I'd also like to draw attention to the issue of body-image that most greatly impacts females. There is no good reason to under fuel or work out to excess in order to obtain greatness. Work hard, eat healthy (most of the time), and you will see results! Last but not least, always have fun. Don't beat yourself up over one poor performance, and don't let your pride outweigh your humility. Always find joy in the rhythm of running, the outlandish team traditions, and the shared love for the sport that is felt on meet day amongst the spectators and athletes alike! What influence has your coach had with respect to your performance and overall life goals? I've had the pleasure of being coached by a variety of coaches, all of whom have taught me valuable life lessons. 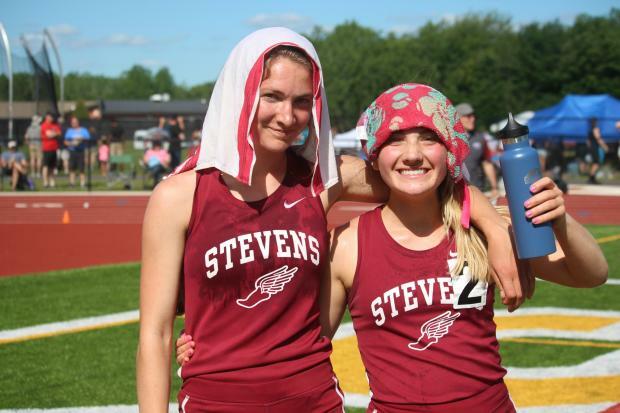 My two cross-country coaches are about as different as night and day, but the combination of their coaching styles strikes a unique balance that gives their athletes a fantastic high school experience. To Erich Reed, Tony Rolfe, and Anne Piazza, your influence over my running has been a priceless gift! What are your college plans? I will be attending Bates College in the fall and running DIII Cross-Country, Indoor Track, and Outdoor Track, go Bobcats! Who would you like to say thank you to? Holy pepperoni, I could list off one hundred people I'd love to thank. I'll give y'all the short version! Thank you my coaches, my teammates who have since graduated, are graduating with me, or who I'm leaving behind to keep the team's gears turning. Thank you to the Orono teams, Usha, Lauren and Elyssia, to the MDI girls and boys, the Hampden team during Indoor (special shoutout to Moxie and P-Herriman! ), my buddies at Ellsworth, Paul Firlotte and Ernie, Mr. Eck, my ARC family, and anyone else who I've ever given a sweaty hug to! I'd also like to thank my three closest running sisters for their companionship and support; Eliza Broughton, Zeya Lorio, and Mary Brenna Catus. My last thank you goes to my dorky dad John who takes photos at all of my meets in his cargo shorts and dad sandals, and my mother, who is known by all as "Momma Becky", for running with me before school and for believing in me always. Is there anything else you'd like to add? Thank you very much to Maine Milesplit for providing this opportunity to seniors!